Under the direct supervision and with the support of Procurement Coordinator, the Procurement Assistant will execute procurement actions in line with SCI protocols and procedures, being responsible to getting quotes, filling all relevant document (PR, quotes, CBA, PO etc.). Responsible for communicating with suppliers in order to get quotes, specifications and quality information. Ensure that due consideration is given to delivery scheduling and conditions including , lead time to delivery, guarantees, packing, transportation, quality, penalties and returns policies when required. Obtain written quotes from suppliers and service providers as necessary. Receives invoices from suppliers, checking if they are correct and complete, and forward payment requests together with all necessary supporting documentation to Procurement Coordinator, monitoring the process to ensure payment is made on time to the supplier. Respond flexibly to changing program needs, reprioritising tasks in a logical, sensible way and in coordination/consultation with the Procurement Coordinator. Make sure that the items requested are clearly specified in the PR form and communicate with the relevant Requesters or Technical Programme persons for further clarification. Responsible for procurement process of office supplies for Country Office -furniture, stationeries and others consumable items. Assist Procurement Coordinator on regular updating on the Procurement Tracker, supplier’s database and other Procurement reports if required, in collaboration with co-workers. Communicate and exchange information effectively with colleagues and other team especially for supplier has changed contacts, product detail specifications, payment terms & conditions, delivery due date and payments. Works closely with the Procurement Coordinator to ensure all necessary paperwork is provided for the supply chain management filing system. Assist the Procurement Coordinator with the evaluation, modification, renewal and establishment of Framework Agreements (FWA). Assist Procurement Coordinator in preparing payment requests authorizations as required. Work closely with other procurement/supply chain team member and give necessary support when needed. Other duties assigned by the Supervisor (Procurement Coordinator) as and when required. A Diploma or Bachelor Degree in Business Administration, Supply Chain, Logistics or Procurement Management. 2-3 years’ experience working in similar role in an NGO or private commercial sector. Member of a professional body e.g. CIPS, CILT or KISM will be an added advantage. Excellent computer skills especially in MS Excel spread sheets and MS Word. 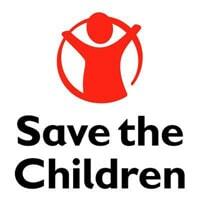 Commitment to and understanding of Save the Children’s aims, values and principles. High level of integrity/confidentiality and ability to work as part of a professional team.